Before the invention of sound recordings, instruments and the skills to play them were especially valued. 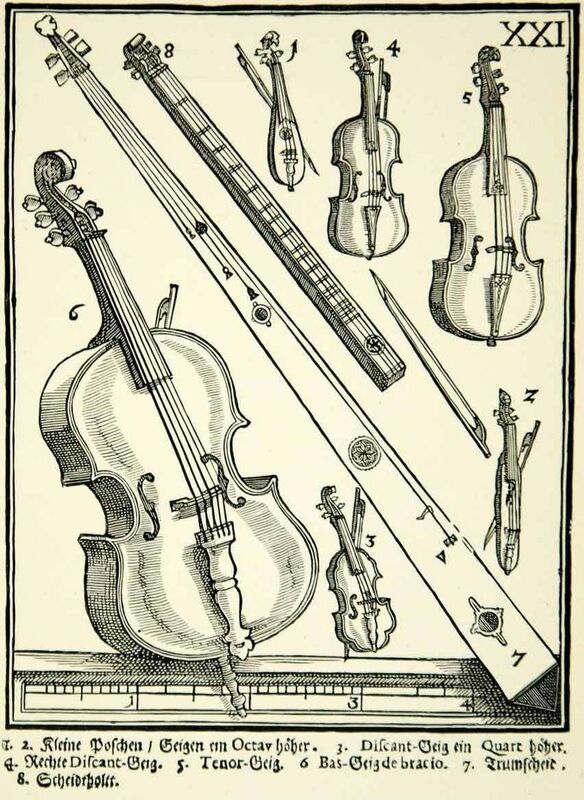 As discussed in the previous article, Music of Andreas Hagenbuch’s Time, there are no historical records of the Hagenbuch family owning instruments in the 1700s. However, their lives were certainly not lacking the pleasure of music. One instrument that Hagenbuchs or their frontier neighbors likely owned was the scheitholt. The scheitholt is a German folk instrument first mentioned in the 1619 book Syntagma Musicum II by the German composer Michael Praetorius. In this work, Praetorius reveals that the scheitholt of that time was around 42 inches long, had four strings, and used frets that were unevenly spaced along a soundboard. The scheitholt is a type of zither. Zither is a German word that comes from the Latin instrument cithara. The cithara originated in ancient Greece and would eventually give rise to instruments such as the guitar and the scheitholt. Citharas have strings and a wooden sounding box. Zithers, like the scheitholt, are designed to be placed upon a table or lap and are played flat. They can be played by strumming or plucking the strings, as well as by using a bow. Older zithers often used accompaniment strings to create an additional droning sound. In fact, the hummel, an instrument related to the scheitholt, received its name due to the droning sounds it produced. Hummel is the German word for bumblebee. The number of strings on the scheitholt increased over time. Early versions had three or four strings, similar to the one in the Praetorius drawing. By the 19th century, many scheitholts had six strings and larger sound boxes. Eventually, the instrument would leave behind its medieval origins and evolve into what is known today as the Appalachian dulcimer. The video at the top of this article gives an excellent sense of the music the Hagenbuch family may have enjoyed during the 1700s. The scheitholt being used is a replica of an instrument made around 1870 in Pennsylvania by the Mennonite teacher Henry Lapp. The song being played is the hymn “Ubermal der Tag Verslossen” (“Now the Day Closes”). 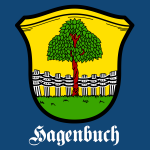 The Hagenbuchs were a devote Lutheran family and would have known hymns and other sacred tunes. It’s important to note that not all scheitholt music was sacred or even played with a bow. In the above video, a scheitholt is quickly strummed to produce a lively, uptempo tune. Songs likes these certainly could have accompanied celebrations and dances. After hearing the sound of the scheitholt, it’s easy to imagine Pennsylvania’s German settlers gathering together and enjoying music played upon this instrument. One can even picture the Hagenbuch family owning one, and its simple tunes resonating from the walls of their frontier home. Special thanks to Chris Witmer for his information about the scheitholt. Fantastic 17th century print you turned up for Syntagma Musicum II, by Michael Praetorius. Me like! Thanks, Chris! And, thanks too for your inspiration while writing this 🙂 We appreciate it. In my video “Das Scheitholt” I play with my left middlefinger. Normaly the index finger is used but The circular daw hit this index finger. It’s ok now again !!! Today I finished a Scheitholt after the measurements by Praetorius. It’s 110 cm long and with a string length of 931 mm. Next story Get a Horse!